Game Update Patch1.5* must be used. 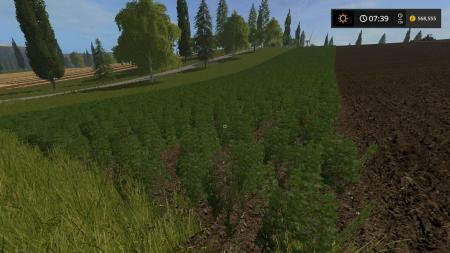 Includes sugar cane, dirt and terrain mod, chopped straw, multifruits, installed mods. So many know I tinkered with my own edit. After speaking to PapaBear Farmer_Andy gave permission for some of his fS2015 map inventions to be released in my own edited version of the user map Beaver Creek 2017. 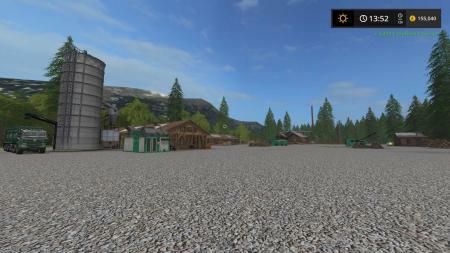 So the Beaver Creek V1C map update includes new additions and area changes so a new game must be started if you download this update to play. DO NOT USE A GAME SAVE FROM AN EARLIER MAP VERSION, SIMPLY START A NEW GAME. 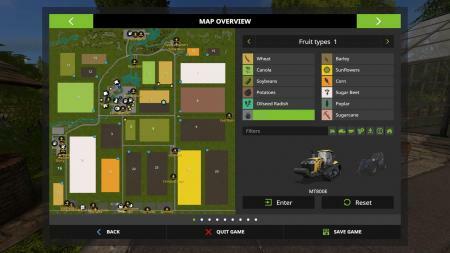 The map now includes cotton which uses a maize combine header to harvest, my own new Jenz forestry machine installs for chipping and sawdust production, remade plum and cherry production and Farmer_Andy’s potato production installs and UHT milk production is again now in the map. The zip includes my own edit of the Giants Kotte Garrant tanker, this handles all fluids and triggers in Beaver Creek but note this mod is only for the Beaver Creek V1C map and will error on other maps without the correct fill types present. Have fun with the map. Many thanks to the FB users who helped test the map.